 Below is a list of continuing care retirement communities in Knoxville, Tennessee. If you need additional help finding care for you or a loved one please contact our FREE care counselors at 1-800-955-8510. Asbury Place has East Tennessee's finest retirement communities in Maryville and the Tri-Cities area. Residents enjoy all the comforts and services they need. Find out why so many people call our retirement communities home.